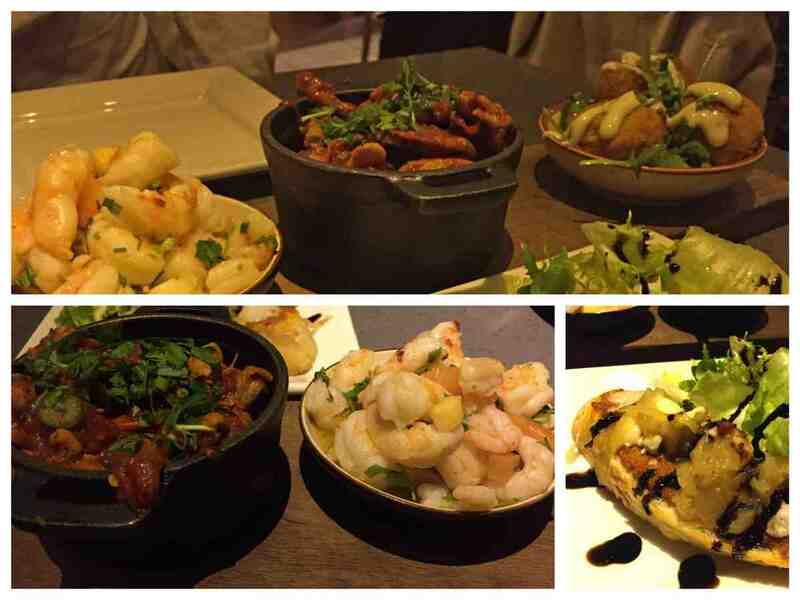 A few weeks back we were invited along to try out the new menu at the Italian restaurant Fratelli, in Belfast. The restaurant is owned by the Galgorm Hotel (an amazing hotel you should all try to get along to at some point if you get a chance) and located in the city centre along the popular Great Victoria Street (opposite the Europa Hotel and bus station). We parked the car at a nearby car park and went along to take our seats in what was a pretty packed restaurant. First impressions were good – there was a vibrant atmosphere, you could see the chefs in the kitchen (something we like), and the whole setting was just so inviting, we couldn’t wait to take our seats. 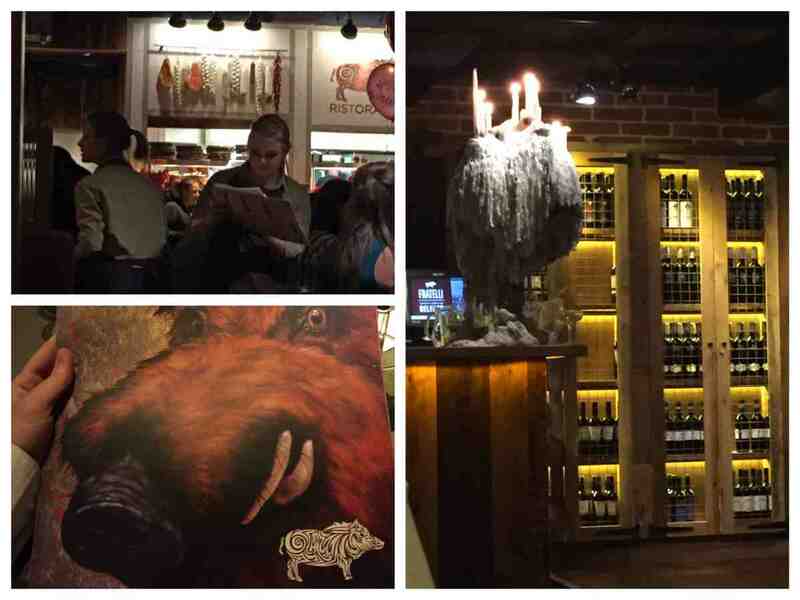 The restaurant itself is a fusion of rustic and romantic, with gothic accents making a real statement. As we were taken to our seat, the smell of food in the restaurant had us licking our lips, and as we sat down to look at the new menu, we really were spoilt for choice. With a great choice of cicchetti’s (Italian tapas) available to start, we could have easily just ordered a couple of cicchetti platters and sat very content for the night. In the end though we went with our waiters recommendations of chicken, chorizo and tomato ragu, crispy fried mushrooms with garlic dip, and sautéed prawns with tomato and chilli. With 3 items for £10.25 or 4 for £13.95, a cicchetti board is a great way to start a meal at Fratelli, whether there are two of you or a large group of you. We also ordered a goats cheese and caramelised onion bruschetta (£6.00) to accompany the cicchetti dishes. All four dishes tasted great and it was the perfect way to start our meal. Feeling more than impressed with our starter, we couldn’t wait to get tucked into our mains. 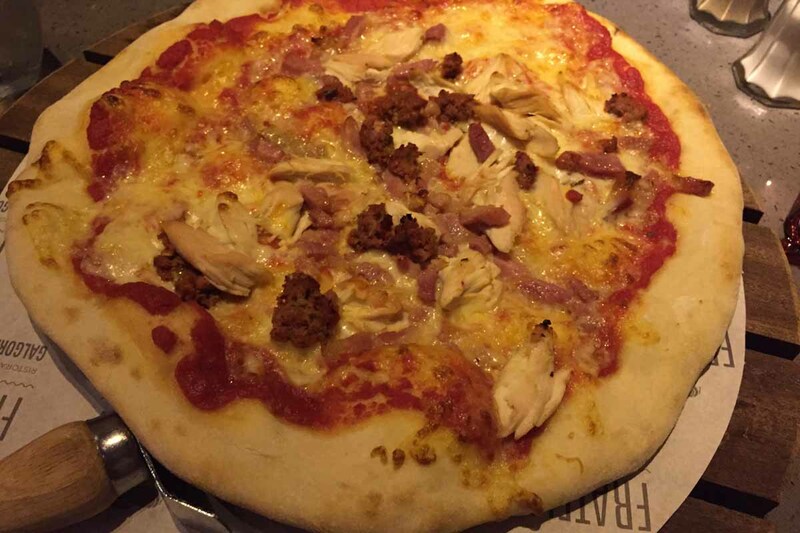 As it is an Italian restaurant, there is a great range of pasta and pizza dishes on offer, and in the end we opted for the ‘pollo e carne’ pizza (£14.50) and confit duck leg (£14.00). 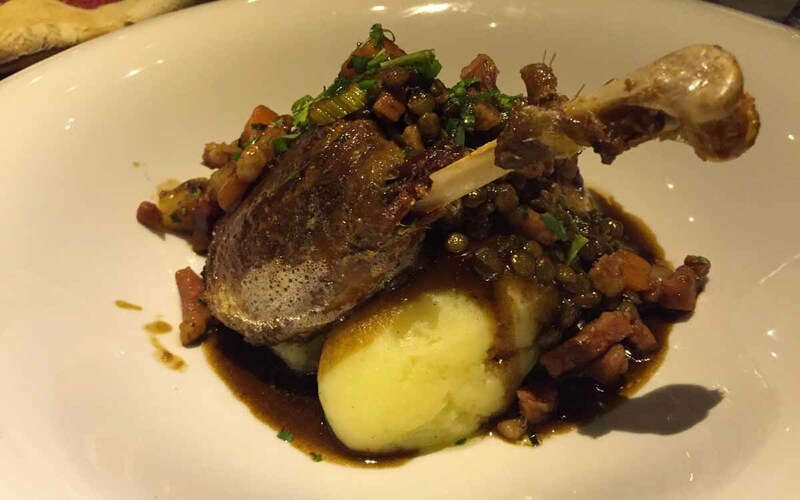 The duck leg was on the specials board for the night and was served with puy lentils, mash and a pancetta jus. There’s something special about a freshly stone-baked pizza – simple, quick and hits the spot. We opted for the meat option with chargrilled chicken, Italian meatballs and smoked bacon lardons. The duck leg was slow cooked to absolute perfection, complete with crispy skin, while the buttery mash, puy lentils and pancetta jus added great texture and flavour (bags of it) to really complement the dish. Two big ticks again for the food. A trio of small desserts is becoming an increasingly popular way to finish a meal today, but Fratelli offer a selection of classic mini desserts to finish your meal, each priced at £2.50. 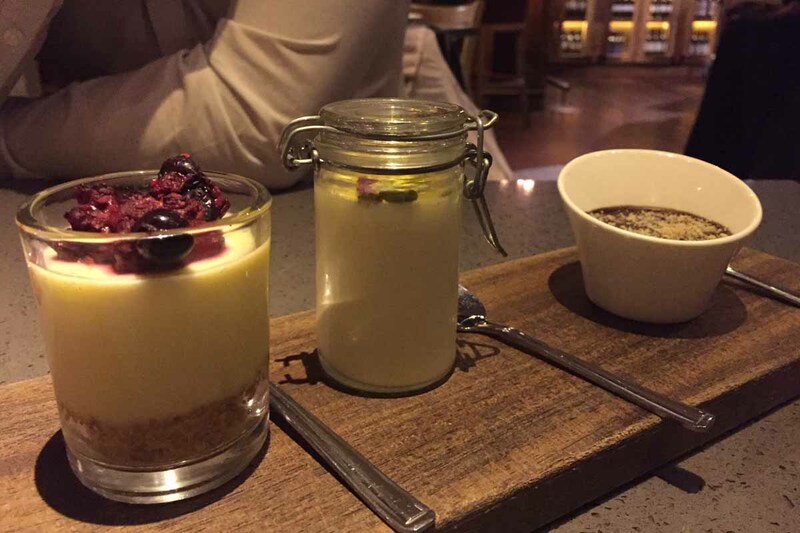 Regulars to our blog will know that we are big dessert fans and definitely have a sweet tooth, so we were looking forward to trying a selection of different desserts to finish the evening. Our favourite dessert was the buttermilk panna cotta although all 3 desserts offered something a little different as we ended our meal. 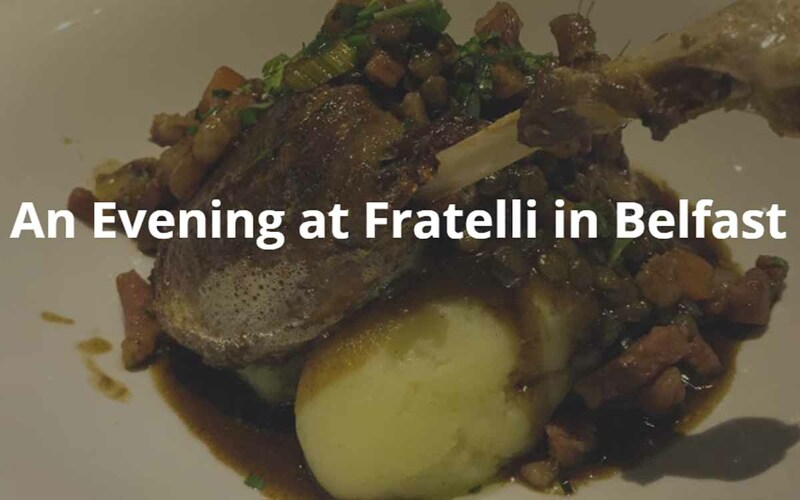 As we headed home from Belfast to Newcastle, we reflected on just how good Fratelli was. It’s just good, honest, Italian food on a plate, with friendly service and a great setting. We were left more than impressed and will certainly be back again at some point in 2016. The above meal came to £51.75 and with a few soft drinks and a glass of wine, the full bill was around £60.00, not bad for 3 courses for 2 people in Belfast city centre. Have you been to Fratelli since the new menu was launched? We’d love to know your thoughts. Let us know by commenting below or connecting with us on Facebook and Twitter.